Disc Dish caught up with the great Lance Henriksen a couple of weeks back to talk about this latest film, Gone Are The Days. A melancholic Western character study, Gone Are The Days stars Henriksen as Taylon, an aging outlaw who sets out on a redemptive path to save his estranged daughter from the sordid life his own actions have thrust her into. 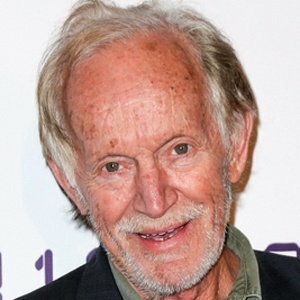 With more than 240 acting credits, including such fan favorites as Aliens (1986), Near Dark (1987) and the Nineties cult TV hit Millennium, Henriksen is no stranger to the Western genre, having taken on strong supporting roles in such notable genre entries as Jim Jarmusch’s Dead Man (1995) and Sam Raimi’s The Naked and The Dead (1995). 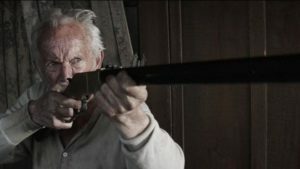 Familiar character faces Tom Berenger, Danny Trejo and Steve Railsback are also on hand in Gone Are The Days, but this one is Henriksen’s show all the way as he combats his failing health and unclear but none-too-encouraging destiny to perform one final act of valiance. The 77-year-old Henriksen was in a lively mood as we discussed the film, Buster Keaton and his early days in New York City. Disc Dish: I watched Gone Are The Days the other night and enjoyed it! An elegiac look at a dying gunfighter who wants to complete one final proud and redemptive act. What did you make of the script when it first crossed your desk? Lance Henriksen: When I got the script, the first thought I had was that it was so original. That first twenty minutes—getting up and readying myself for the journey the character is about to take—was so original. When you start the film, you get hooked on it. And then you’re dragged all the way to the very end. DD: This was director Mark Landre Gould’s first narrative feature—he has a background of primarily documentary work. What was your experience working with him? Henriksen: Every time I do an independent film, I want to bond with the people making it. Any information I have from my experiences in film, I gladly give it away to the filmmakers. That’s an extension of my acting, and that’s the nature of acting. You’re “giving permission” constantly. Mark and I really bonded during the shoot. One of the things we did was give each other a chance to try things. I wasn’t just spitting out lines from a script—we were always working together as the production moved forward. My character in Gone Are The Days, I think he has almost a Buster Keaton quality, with his physical acting and body language. And talking about Keaton, I feel that he gave me the permission to do anything I’ve learned from him. Acting is a constant motion of giving and taking. And I can give that to the director, too. When I think of my childhood and growing up in NYC, it’s a lot of moving around. It’s a walking city. My body and the body language of other people was always mind-blowing to me. That’s why I’ve so related to Keaton and the poetry of his body language. DD: Well, you’ve got a amassed a wealth of film movement over the past five decades to draw from. Henriksen: Absolutely. There are so many I’ve done—I think I’ve got nearly 250 credits at this point. Actors, directors—everybody has a dream. Film is a wonderful thing. You make it, you go through the reality of making it, then you get the reality of seeing it. You get a quick wake-up call of how to make the film. DD: Gone Are The Days was shot over a couple of weeks…? Henriksen: Yeah, all over California. It was hot, and most of it was outside. It was right for my character and for the film. Sweaty and dusty and dirty. It reminded me of being in New York. I used to go to Central Park, where I could smell the mounted cops’ horseshit and watch people ride English-style, which was so prissy. When I was in the city, I studied at The Actors Studio—before that I had three years of grammar school and no other formal schooling—and traveling in New York and around the world was my education and college. That’s what acting and traveling have in common—every journey I take, every film I make, I come out the other end and I’ve learning something. But there’s another element: When you finish a movie, you have to be like a cat leaving a cat box. You can’t look back. If I did, and kept on going over what I had done, I’d be a psychopath—I’d be carrying around so much stuff with me. Gone Are The Days is now available from Sony on Blu-ray, DVD and Digital from Lionsgate.